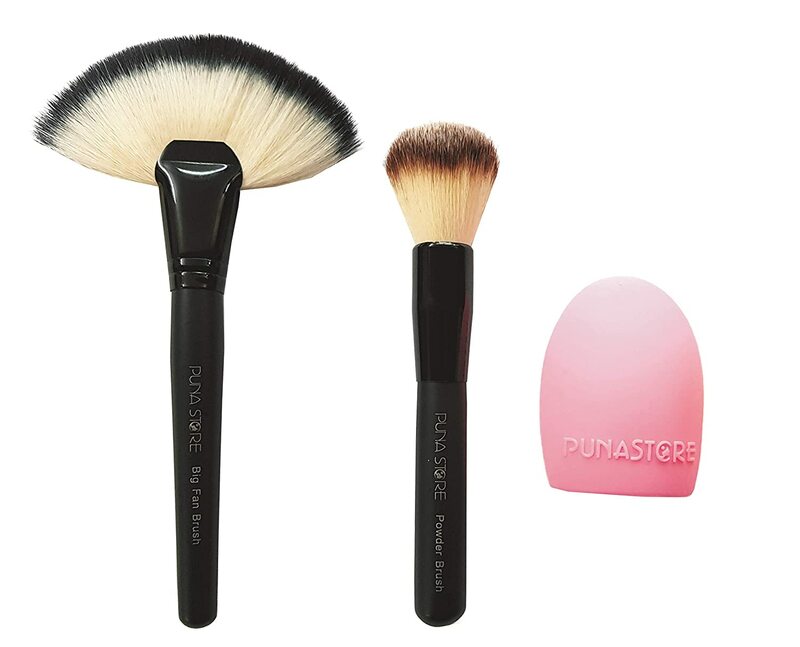 PUNA STORE Branded 3 Piece Combo Makeup Brush Set. Package Contains : 1 Powder brush, 1 Fan Brush and 1 Makeup Brush Cleaner. Soft Synthetic Fibers For Smooth And Flawless Application. The brush egg is used to help with the deep cleaning process of makeup brushes.